Are you an author or publisher who owns the rights to written works? Are you looking to leverage your intellectual property for multiple streams of revenue? If so, 50 Critical Questions: Discover the Perfect Audiobook Producer (Narration & Audio Production Demystified for Authors & Publishers) is just for you. This guide contains all of the critical questions you need to know to turn your books into amazing audiobooks. This primer was born from the frequent questions I field from authors and publishers who want to understand this mysterious and growing industry niche. Find the producer who knows nuanced performance, stellar techniques for recording & editing, and modern marketing & channels distribution. In this book I will teach you 1) what makes a phenomenal audiobook producer, and 2) how to discover the perfect one who will guarantee your audiobooks are loved by fans. Magnify your audience and massively increase royalties! 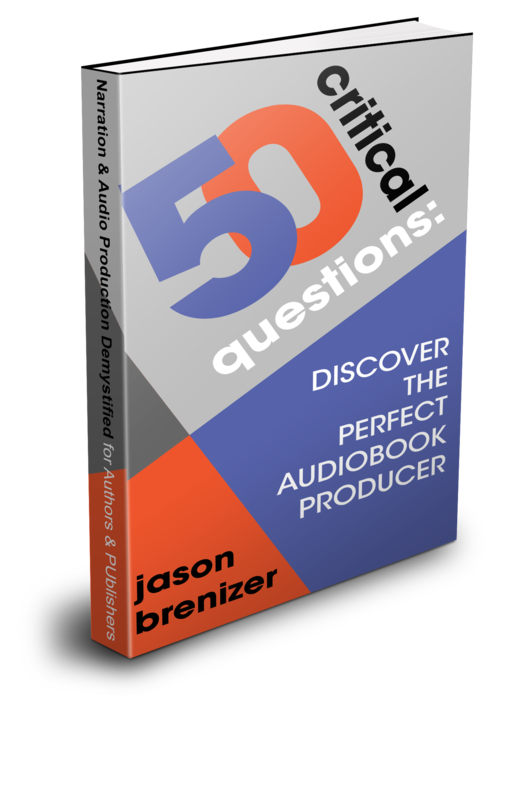 50 Critical Questions: Discover the Perfect Audiobook Producer contains everything you need to know about creating and distributing phenomenal audiobooks. What makes a good performance? How can you trust that what worked for one book will work for yours? What kind of experience is the right kind? You get answers, not just questions, from a unique producer who is also an author. I share key technical questions and cover the right kind of answers so you know you aren’t being snowballed by jargon. You’ll even get enough technique to try recording and editing your own titles. This books gives methods and resources to help you find fantastic narrators and producers. It also covers traditional versus independent audiobook publishing, and how modern audiobooks are distributed and marketed. I cover some basics of sound isolation and the audio chain (microphones, pre-amps, A/D converters, etc.) without getting too deep into the weeds. You’ll get an analysis of the time it takes to properly turn you book into an audio masterpiece. You’ll also get a handle on what it will cost and how much you stand to make. At 12,000 words, this book has only the essentials, without all the fluff. Read it in one sitting, and go back to questions for a refresh as needed. Do you have an audiobook version of your book? Click below to get Jason’s free 1-page PDF on how to choose the perfect narrator!